Comics: Cows and their stupid Hindus, who needs them? Somehow it’s always funny for the liberal media when Hindus talk about protecting cows. Whereas the same liberal media will be giving the most emotional commentaries on animal rights in their other featured programs. Why this hypocrisy? 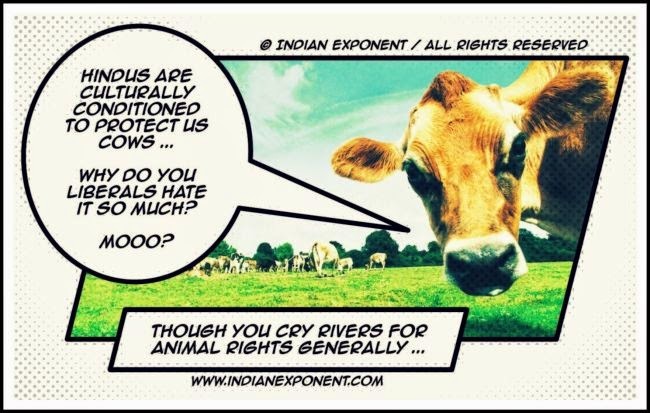 Indian Exponent: Comics: Cows and their stupid Hindus, who needs them?